Suara Rakyat Malaysia (SUARAM) condemns the statement by the Attorney General of Malaysia Mohamed Apandi Ali in regards of his proposal to amendment the Official Secrets Act 1972, his ‘threat’ against the media and the Royal Malaysian Police’s undue warning against artists and activists through social media. The strengthening of the Official Secrets Act 1972 and the propose curb and threat of prosecution against the media can only be interpreted as an assault on the freedom of expression and freedom of information. The importance of the freedom of expression cannot be discounted. The importance of this right is repeated in various international documents and bill of rights. The Freedom of expression is not only enshrined in the Universal Declaration of Human Rights; it is also enshrined in the ASEAN Human Rights Declaration which Malaysia is a party to. Furthermore, freedom of expression is also provided for under Article 10 of the Federal Constitution of Malaysia. Beyond human rights, the freedom of expression and information serve as the foundation of any democratic state. The denial of these rights can only be permitted with the direst of circumstances with no better alternatives available. Any act of curbing or limiting freedom of expression and information must be justifiable. The recent suggestion put forward by the Attorney General of Malaysia is not only unjustified but a blatant attempt to silence dissent and prevention revelations that would harm the present ruling party of Malaysia. The Attorney General would do well to remember that any attempt to utilize the Attorney General’s power to protect and preserve the integrity of a political party is a blatant misuse of power and must not happen in Malaysia. The surveillance and monitoring of social media posting of satirical materials by artists and activists is excessive and unjustified. The recent statement issued by the Royal Malaysian Police against artist and activist, Fahmi Reza for his posting of a satirical image of select leader of the Government of Malaysia is a clear attempt to intimidate the public against any dissent and criticism against the Government of Malaysia. Recalling the nature of office hold by any government official, public scrutiny and criticism is part of the democratic process that serves as the foundation of Malaysia. Satirical images and comments made against government official should not be considered as a crime. The statement issued by the Royal Malaysian Police would directly and indirectly prevent positive discourse on matter relating to national interest and jeopardize the democratic space and freedom of expression of all Malaysians. SUARAM condemns all unjustified attempts to limit and curtail the freedom of expression and freedom of information as suggested by the Attorney General and strongly condemn the act of intimidation by the Royal Malaysian Police through its warning to Fahmi Reza. 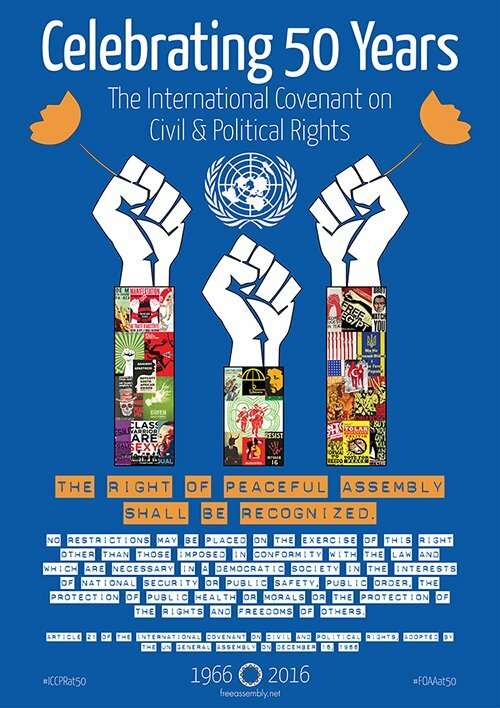 SUARAM reminds the Government of Malaysia and all enforcement agencies of the promises made by the Government of Malaysia in the Universal Periodic Review (UPR) specifically in the context of the abolition of the Sedition Act 1948 and the protection and promotion of Civil and Political Rights. Failure to ensure the protection and promotion of the Freedom of Expression and Freedom of Information would most certainly be contrary to the promises made during the previous UPR and devastate what is left of Malaysia’s dignity and respect in the international arena. Reminding the Government of Malaysia since 1989. 50 Years of International Covenant on Civil & Political Rights. Time to ratify and implement.